Update: As a reference, I compiled a brief booklet that contains all 27 sword fittings that are by today designated as jûyô-bunkazai, enlarged by 28 items that got jûyô-bijutsuhin. 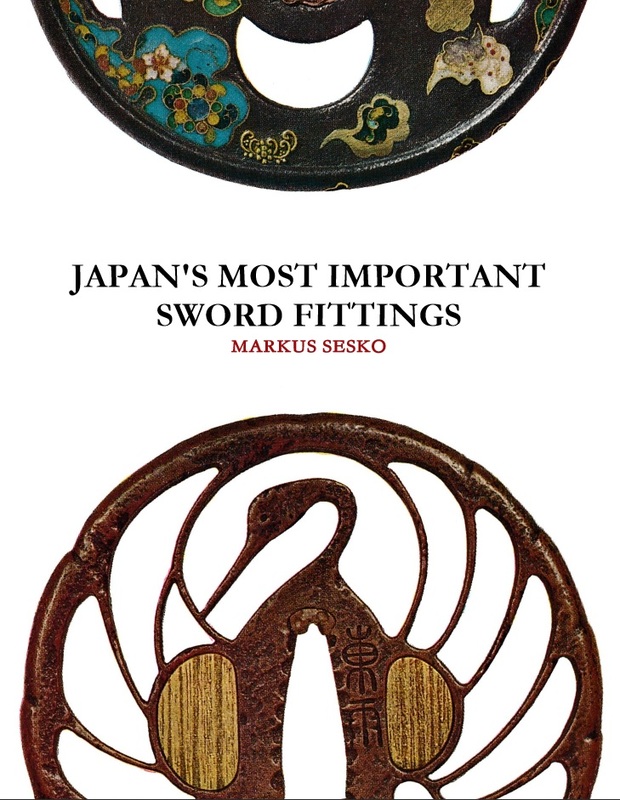 As mentioned, it is just a reference for those who always wanted to know what kind of sword fittings and tsuba are regarded by the Japanese government, or Bunkachô in particular, as being of greatest importance. The booklet comes in color and is in letter format. Price is just a little more than the printing costs and I also uploaded an eBook version of course (see links below). Thanks for your attention! Just like to say thank you for producing such a wonderful and beautiful book on sword fittings. I have now purchased both the ebook and paperback which I’m sure everybody will appreciate for providing yet another opportunity to further our education and evaluation of such important artefacts of Japanese metalwork. Thanks a lot for your kind words Paul (and of course also for getting my latest work 😉 ! Much appreciated. I just received an email from Lulu.com saying that, due to the source files containing errors, my order of the paperback publication of this book cannot be completed. Do you know what this problem is, more specifically? Will it be corrected? I prefer to have such resources in hard copy form, so I hope this can be sorted out and the hard copy will become available. Thanks. I am afraid they are having again troubles with a color publication like with the Masamune book a while ago. But it should be fixed and the book should be available in a little. Did you get any instructions in the mail, i.e. does Lulu make you order again? Not sure what the problem is. I published the 3-volume swordsmith index in the meanwhile with the very same system here and the 1,500 pages print perfectly ok (i.e. neither changed my computer nor any program). So I have to find out with them why they have difficulties when it comes to color print. Sorry for all the trouble. I see. I will let you know when it is “safe” to place a new order. Thanks for your understanding! By the way, as I am particularly focused on the tsubako of Owari kuni from Momoyama times, I would be especially keen to know about any translations/publications you might have coming on any of these smiths (Hoan, Nobuiye, Yamakichibei, Sadahiro). I saw a reference by Okamoto in his Owari to Mikawa no Tanko of period (Momoyama or early Edo) documents—perhaps held in Nagoya’s Tokugawa Museum—pertaining to the early Yamakichibei smiths. I tried contacting the museum (in English), but didn’t have much luck. If you do have any works coming later on this subject matter, please be sure to let me know!